College is expensive! I've been to two colleges. One for my BFA and another one for my masters degree. Now I'm an art instructor at the Creative Center. When it comes to hands on art classes, there are supplies and more supplies to buy. Each class has an added book, which also adds to the bill. Now there is a way to reduce that money. There is a company called Campus Book Rentals. Not only do they have a huge selection of books. They have live help. I always had to make sure I bought the right version of text book for my classes. There is no fee to sign up. College students spend only half of what they would if they bought the book full price. They sometimes save more then half! If the student loves the book they can keep it and just pay the difference. The book can be highlighted or underlined in with no additional cost to the student. Renting a book is kinder to the environment. Books that you don't want to buy, but need, is then reused by someone else. The book can be returned in 30 days for any reason. I know instructors change their mind on books a lot. The shipping is easy. The company actually gives the student a self addressed envelope for easy returning. For every book rented, they donate money to Operation Smile. A nonprofit organization that helps children that are born with a cleft pallet. 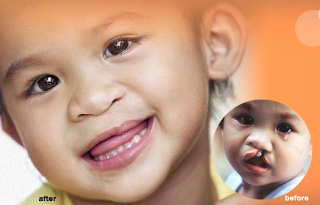 Operation Smile is a nonprofit organization that focuses on healing children's smiles. They look into safe, effective reconstructive surgery for children born with facial deformities such as cleft lip and cleft palate. Some children are born unable to socialize, speak, eat or smile because they have a cleft palate. Mica was born with a cyst under his tongue. This made his tongue deformed. They told me he may never talk or eat. I'm thankful he does both just fine. Operation Smile is a nonprofit organization that I can relate to. Donate to Operation Smile here.